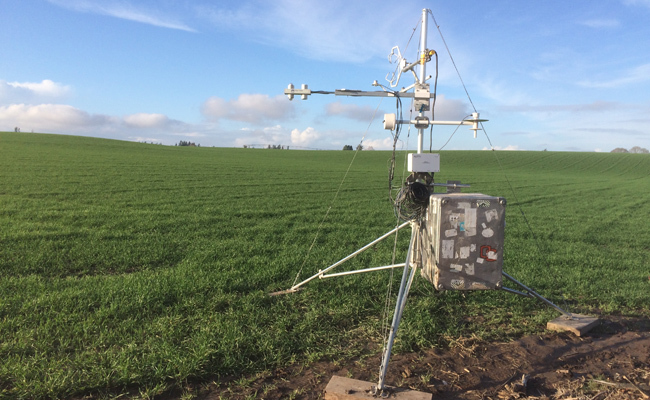 The site was established in summer 2014 and is part of a eddy covariance flux tower network funded by DOE and USDA. 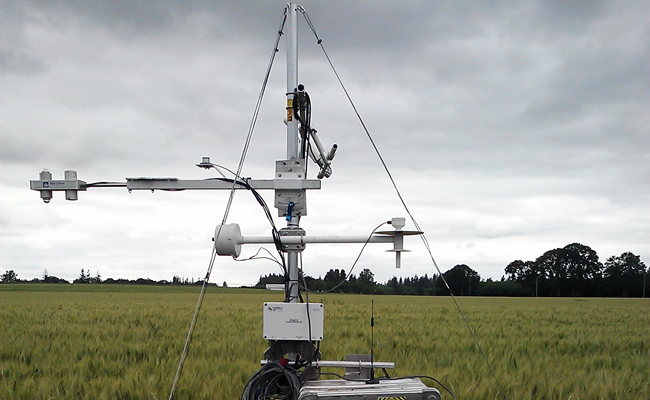 The Willamette Wheat site is also a part of the AmeriFlux network (US-Wwt). 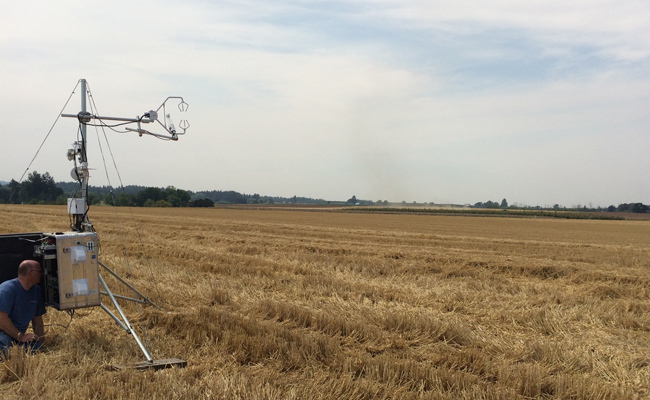 Turbulent exchange of water vapor, carbon dioxide and heat is measured at this tripod tower as well as meteorological variables. The structure is moved twice annually between two adjacent fields where winter wheat and spring wheat, respectively, is grown. The site is also part of the PhenoCam network operated by Harvard University.